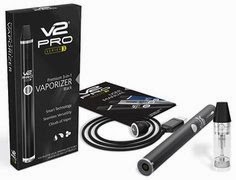 If you're looking for a really excellent e-cigarette starter kit, and one that's not overpriced, then the V2 Standard Plus Kit from V2 Cigs is definitely a great choice. 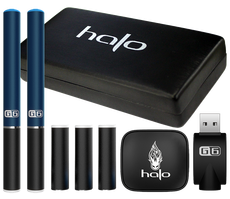 It comes with everything you need to start vaping right away, is fully customizable, and allows you to stay charged while on the go! It truly is an awesome e-cig kit. I've done a lot of e-cigarette starter kit reviews on this site so far, but I've yet to do a review on the new V2 Standard Plus Kit (V2 Cigs released it just two months ago). But since this particular kit has become so popular among vapers, I figure it's about time I do it justice and finally write a full review on it. The V2 Standard Plus Kit (from V2 Cigs) comes with everything you'll need to start vaping immediately. The kit is also fully customizable, which means that you can totally customize it to suit your liking! You can choose your e-cig battery colors, your charging case color, which vaping flavors you want, etc. 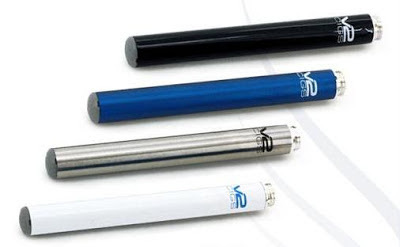 For example, you can choose the color of your batteries (White, Black, Stainless Steel or Metallic Blue), the size of your batteries (Standard, Shorty or Long), the color of your portable charging case (Silver, Graphite or White), which vaping flavors you want (several choices, see below), as well as which nicotine strength you prefer (several choices, listed below). 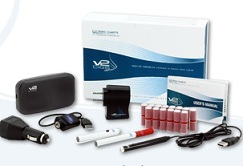 As mentioned above, the V2 Standard Plus Kit comes with everything you need to get your vape on right away. I'll give a rundown of the starter kit's features and accessories below, but if you want to, you can always just jump to the official V2 Cigs page for it here. Vapor production of the V2 Standard Plus Kit is most excellent. It produces a really nice, thick cloud of vapor, and with no effort at all. It definitely has a really smooth draw to it. Bottom line, you can expect lots of vapor, as well as a really great "throat hit". Also, there's no harshness at all; it's totally smooth and satisfying. So yeah, we really love this one! With its smooth draw and great vapor production, you'll be hard-pressed to find another e-cig brand that matches this kind of quality, performance and overall reliability. We kid you not! 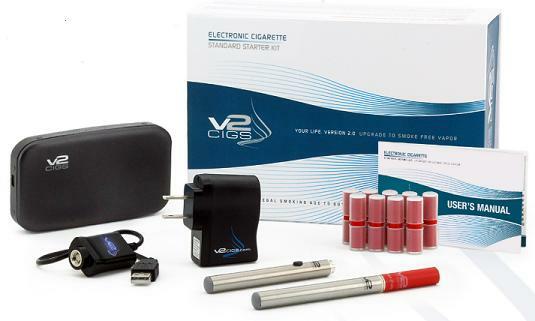 The V2 Standard Plus Kit comes with two (2) flavor cartridge 5-Packs. These 5-Packs equal 10 flavor cartridges in total, which is equivalent to 10 packs of cigarettes! 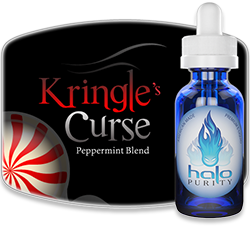 You can choose which vaping flavors you want for each 5-Pack, as well as your preferred nicotine strength or strengths. 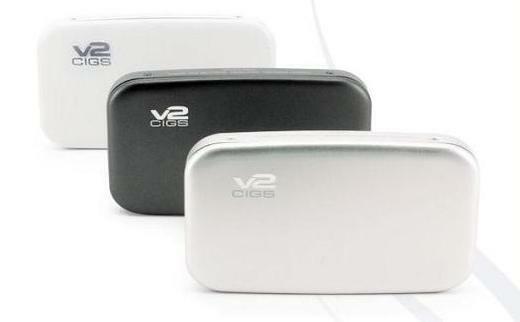 With the V2 Standard Plus Kit from V2 Cigs you can also choose your preferred nicotine level in your flavor cartridges. This way, you can start vaping with the same amount of nicotine that you're used to smoking with your traditional tobacco cigarettes. Or, you can start off with less nicotine, which isn't uncommon at all. Aside from your e-cigarette batteries and flavor cartridges, the V2 Standard Plus Kit also comes with the new V2 Portable Charging Case, the V2 Smart Charger, and the V2 Wall Adapter. The new V2 Portable Charging Case from V2 Cigs is undoubtedly one of the best e-cigarette charging cases available to vapers today. It's slimmer than a pack of cigarettes, and allows you to charge up to 4 e-cigarette batteries...even when you're away from an actual power source! • Slim and ergonomic design - fits right in the palm of your hand! • Screw-on battery charging (so you know your batteries are connected for charging). • Indicator lights tell you how much charge is available in the case. • Accurate charge readings of your batteries. The lights change when your batteries are charged completely. 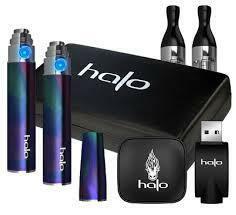 • Extra space to carry an extra e-cig battery, or 2 extra e-cig flavor cartridges. • Charges up to 4 V2 batteries, even when you're not near a power source! • Connects to any standard USB port. 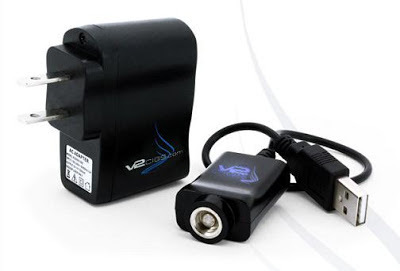 • Compatible with the V2 Wall Adapter (included) and the V2 Car Adapter. The V2 Standard Plus Kit is far and away one of the best e-cigarette starter kits you can get your hands on today. And honestly, it's trumped only by two other starter kits - the V2 Traveler Kit and the V2 Ultimate Kit. Those starter kits are priced at a just bit more (and totally worth it! ), but if you're just starting out with vaping, or looking to spend a little less, then the V2 Standard Plus Kit is definitely an excellent choice. It truly is awesome. So yeah, we highly recommend it. Appearance: Looks cool and sleek. Product Quality: Excellent. Above most other starter kits. Reliability: Excellent. No fails at all! Warranty: Excellent. Full Lifetime Warranty! Shipping: FREE! The flat-rate shipping option is totally free. E-liquid Batch Test Reports: Yes. Free via email. In summation, you can't go wrong with the V2 Standard Plus Kit. It truly is a great e-cigarette product all around. The performance is awesome. The vapor production is awesome. The reliability is awesome. And the Lifetime Warranty is awesome. Of course, when it comes to V2 Cigs and their products, nothing less is to be expected...which is why they've become the most popular, trusted and loved e-cigarette brand on the market today. And as always... Happy vaping! 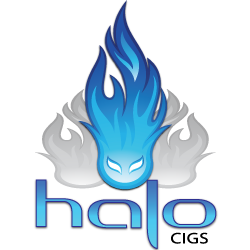 • Volcano LAVATUBE Version 2 Review - Awesome Or Not? Looking nice, the best thing about electronic cigarettes is that they are smokeless which is not only useful for you but also for other people. I love this V2 kit. Thanks for reviewing it I'm so happy I finally made the switch to vaping. V2 Cigs 15% OFF SALE Today And Tomorrow Only! 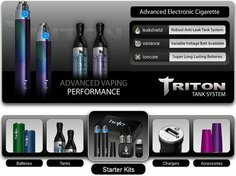 V2 Cigs Adds FREE Shipping On All Orders! Win An INFERNO Starter Kit From Volcanoecigs!